Fantastic collection of garage and R&B beat classics from an Australian band that ended up in New Zealand. 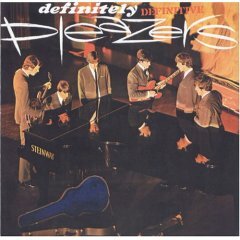 This collection includes the majority of their singles, their "Midnight Rave With The Pleazers" EP and finally their album entitled "Definately Pleazers". Smokin' hot guitar's included on the band's original work and excellent choice of cover's. An excellent compilation featuring a staggering 28 tracks over 73 minutes.